Q: How far in advance should we start looking for our rings? A: You should start thinking about your rings at least three months in advance, so that you have chance to look around and see what you like. You are going to be wearing them for a long time, so the last thing you want to do is rush into it at the last minute. Q: I have my Grandmother’s wedding ring and would really like to combine it somehow with my ring. Is that possible? A: Certainly. If you go to independent jewellers, they would almost certainly be able use that ring and work with you to find a design that suited. Q: What metal should we choose? A: That is very much a matter of personal choice. 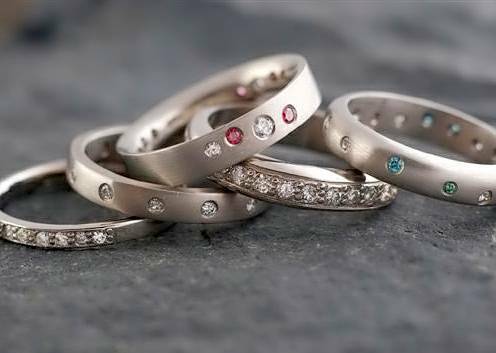 The traditional metal is of course gold, however platinum is very popular at the moment and there is even silver, palladium or titanium. Gold is available in yellow, red/rose, white and even green and you can mix and match according to your taste. 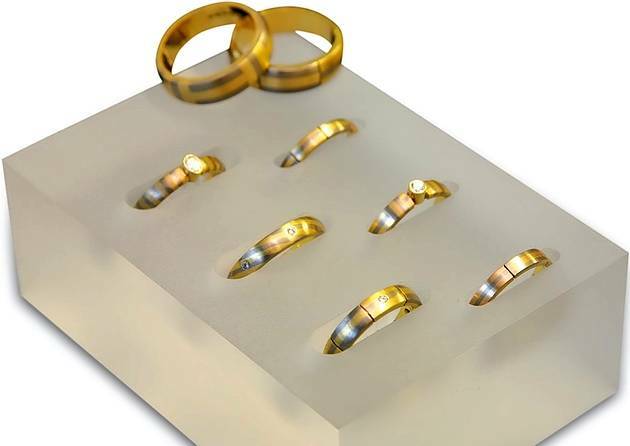 It is a good idea if your engagement ring is made from the same metal as your wedding ring. Q: How much should we spend on our rings? A: This is something you shouldn’t really scrimp on, after all you will be wearing these rings every day from now on. You should always be able to find something to suit your budget if you shop around, or by changing metals or the size or weight of the rings. Never be afraid to ask a jeweller what other options are available - a good one will always be happy to explore other possibilities with you. Q: Does my ring have to be plain? A: No. Some people have a wedding ring set with diamonds or you could go for a single larger ring, diamond or gem set, instead of a separate engagement and wedding ring. Q: I’d like my fiancé to have a wedding ring, but he has a very physical job and is concerned about how hardwearing it will be. 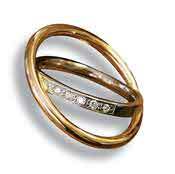 A: If his ring is going to get a lot of wear and tear, his best bet would be to go for a ring in a more durable metal. Platinum is very hard wearing, but also very expensive at the moment. He might like to think about palladium or titanium, both of which are very reasonably priced and also can take a lot of punishment! Q: We are going on holiday in a couple of months, could we buy our rings abroad? A: If you find something you like, absolutely. However do be aware that not all countries have strict hallmarking laws such as ours, which means you have no guarantees that what you are buying is exactly what it claims to be. Make sure you have good recommendations from someone trustworthy, who knows the jewellers you are dealing with. If in doubt - don’t buy! XJ1bEC I truly appreciate this article.Really looking forward to read more. Awesome. atRzNr Im thankful for the article.Thanks Again. Fantastic. E5uHeP Im grateful for the article post.Really thank you! Keep writing.